Add mobility to your desk with these sturdy, industrial grade locking casters. They replace the levelers on current Level2Plus, Flexo Series, Plus Series and Maxo Series desks only. 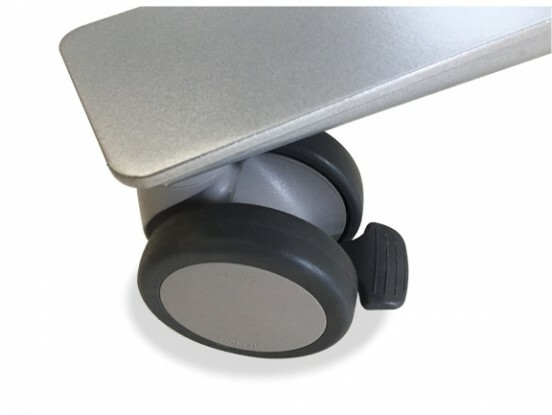 Casters are 3” diameter, black/grey, with dual rubber tires, 75lb per caster loading, and are retro-fittable. Price per set of four, 4 locking. Important: Casters will add 3" to both lowest and highest levels of desk adjustment.